I’m becoming increasingly convinced that the books I tend to love most are those picked up completely on a whim, rather than those I have been dying to read for ages! This is a case in point – grabbed completely randomly in the library, and ended up loving every page of it. The novel tells two stories that are not directly related – other than that the two narrators are neighbours – yet despite the flitting between mainly unrelated tales this works brilliantly. On one side of the road, living in a small house on an estate with his beautician mum, is Max. He’s enjoying the summer holidays before he starts secondary school – until the boiler repairman turns up and ends up dating his mum. The man, who is nameless throughout most of the novel, is pretty horrendous to Max, but the stoic boy suffers mainly in silence as he can see his mum is happy, but occasionally he pops to the huge manor house over the road to speak with Minnie. We also hear about Minnie’s past, through a diary she starts writing, and we find out why she and her sister Clara live such quiet and isolated lives in the big house. Her story is terribly sad, and somehow worked perfectly set against Max’s modern day worries. The two voices were very distinctive and again worked perfectly, giving the contrasts between the present day and Minnie’s tragic past. Max’s story, although sad too, still has lighthearted touches, and this helped to lighten the novel and offered a different tone to Minnie’s story. I loved both our narrators and found myself rooting for them both, and hoped they would form a strong friendship with each other, which slowly starts to develop over the course of the book. 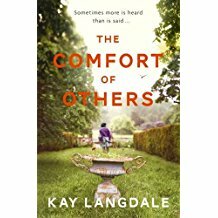 This is a short novel, but it is so beautifully written that you feel you really get to know the characters, even the minor ones. I had never even heard of this author until I picked this book up in the library, but I went straight out and grabbed two other novels by her as soon as I had finished this one. If they are half as good as this I will be a happy reader. This novel was perfect and I absolutely loved it, and was only disappointed when it ended. I like books which include diaries. I heard about this book on another blog, and loved the sound of it. I am drawn to stories with characters of different ages, especially when they connect. And secrets are definitely a key ingredient in books I enjoy. So I ordered this one on Amazon, and should be getting it this week. So glad you enjoyed it, and thanks for sharing. Oh I do hope you enjoy it! I thought it was really lovely. Do let me know what you think!